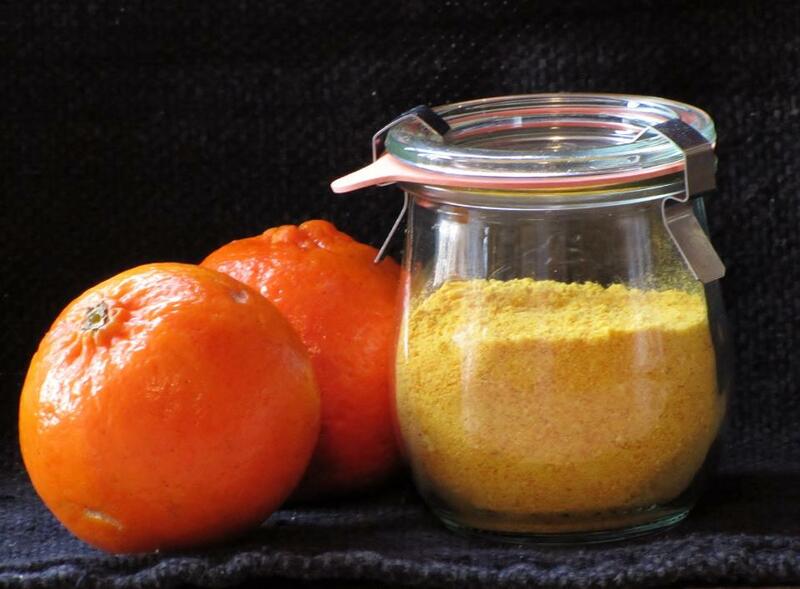 Great uses for dehydrated tangerine peel! * They are rich in Vitamen C which is a potent antioxidant. Thus it protects you from the dangerous effects of free radicals, This antioxidant effect will help you live longer and healthier. * They are loaded with fiber which helps you increase your bowel movement, lowers cholesterol, and controls your blood sugar levels. Also, it is said that fiber prevents heart disease and colon cancer. * They have a high quantity of which has antioxidant and has anti-inflammatory effects on cells and tissues helping thus preventing aging and cancer. How did I dehydrate them? I washed the tangerines in a vinegar and water bath. I removed the peel off the pulp. Sliced them into thin strips and dried them for 10 hours. After they were dried I pulverized them in my magic bullet, but you could use a coffee grinder as well or any other device you have for crushing them into a powder. You can sprinkle the powder in juices or on rice and pasta, yogurt, sour cream dips. Or, mix them into a meat/fish rub!